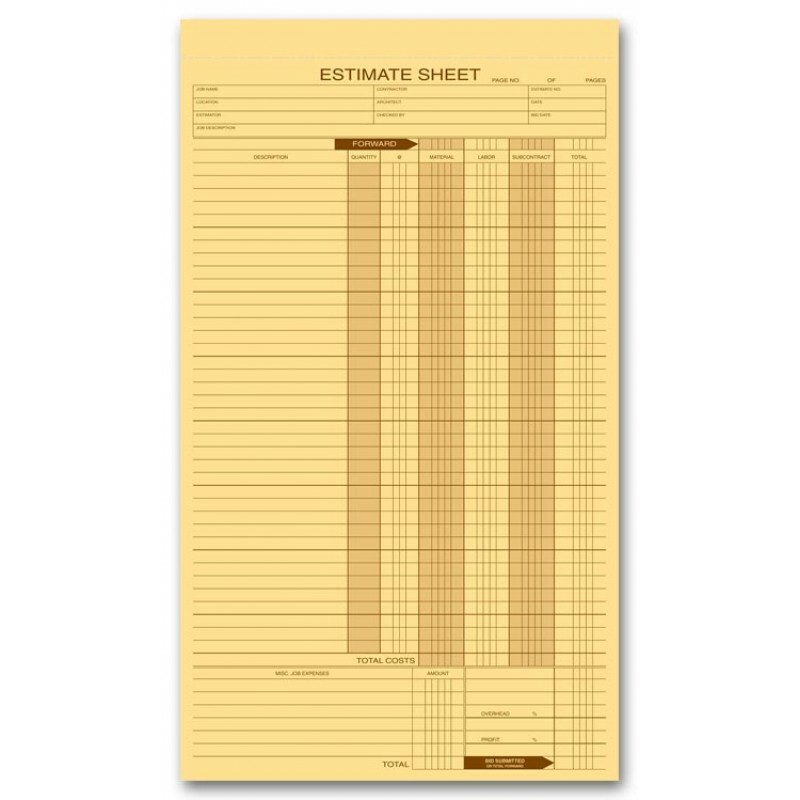 Personalized Estimate Pads 237 At Print EZ. Personalized Estimate Pads Item No. 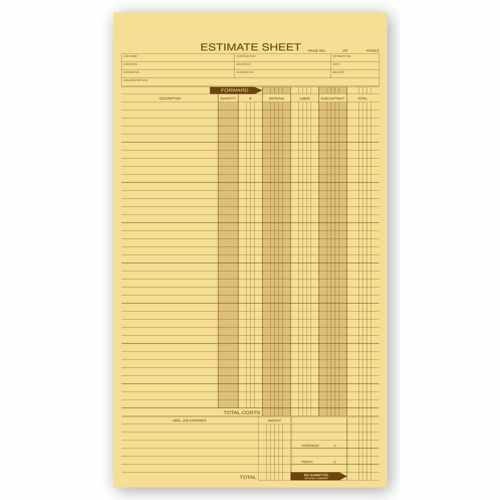 237 Size: 8 1/2" x 14"
Maintain professional and organized workings with our personalized estimate pads. Printed on high quality paper, reading these estimate forms is very simple due to the excellent print quality and light paper background. No need to bother with another form in case your details of labor, material, subcontract or amount, exceed the given lines. Simply flip the form over and make use of the extra lines provided behind. I received the exact item I was looking for and shipping was fast. The sheets I ordered came in just like the ones I'm used to paying almost double for. they seem like they may have been put together in a hurry. They will still do the job though, so I'm not too upset about it altogether. Product is great..Fast Turnaround time..
We are always very satisfied with our order form Print EZ. Delivery was on time and in good condition. Thanks! Product was just as pictured and cheaper than most other places.